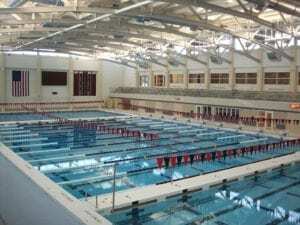 In 2009, the Denison University’s Board of Trustees approved plans for the $38 million renovation of the Mitchell Center. 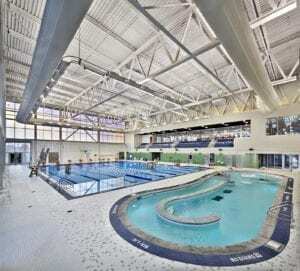 The center houses Livingston Gymnasium, Alumni Memorial Fieldhouse, the Mitchell Indoor Track, the new Trumbull Aquatics Center, and a new two-story, 8,000 sq. 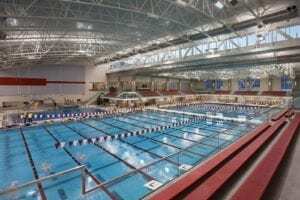 ft. fitness center. 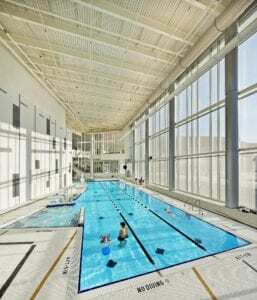 In addition, the Mitchell Center features international squash courts, a regulation 200-meter indoor track and indoor tennis courts, as well as aerobics, strength and fitness facilities. 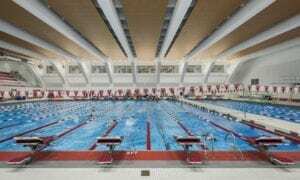 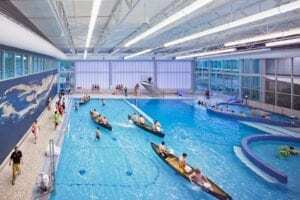 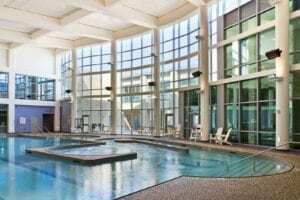 As with all new construction and renovations at Denison, the aquatic center was built according to LEED standards, a national benchmark for sustainable design by the U.S. Green Building Council.